Few places on earth are as mystical and untouched as the “White Continent” of Antarctica. 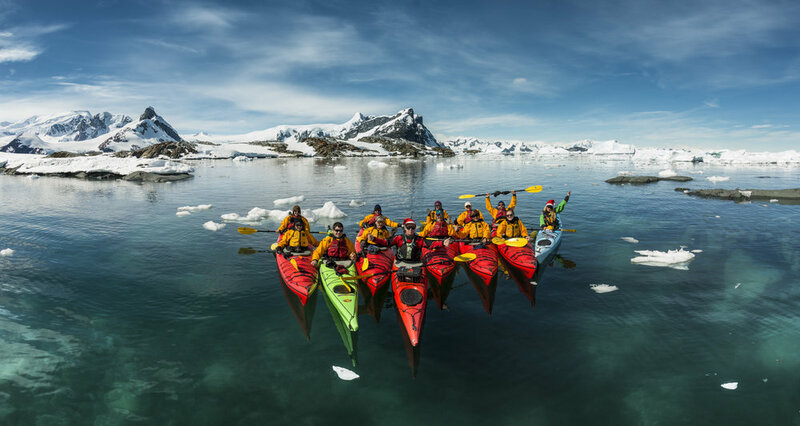 If you’re looking for a truly unique adventure, guaranteed to leave a lasting impression, then Antarctica is certainly the place for you. Leaving from Ushuaia, better known as “The End of the World”, you will journey through the Beagle Channel en route to legendary and rocky Cape Horn to see the meeting of the two great oceans, the Atlantic and Pacific. Cross the mythical waters of the Drake Passage, a true right of passage for any curious traveler, and spend a day in one of the most spectacular places on earth - Antarctica. Your journey begins in Ushuaia, Argentina. Board your ship in the afternoon and sail along the Beagle Channel towards Puerto Williams, Chile, the southernmost town in the world. 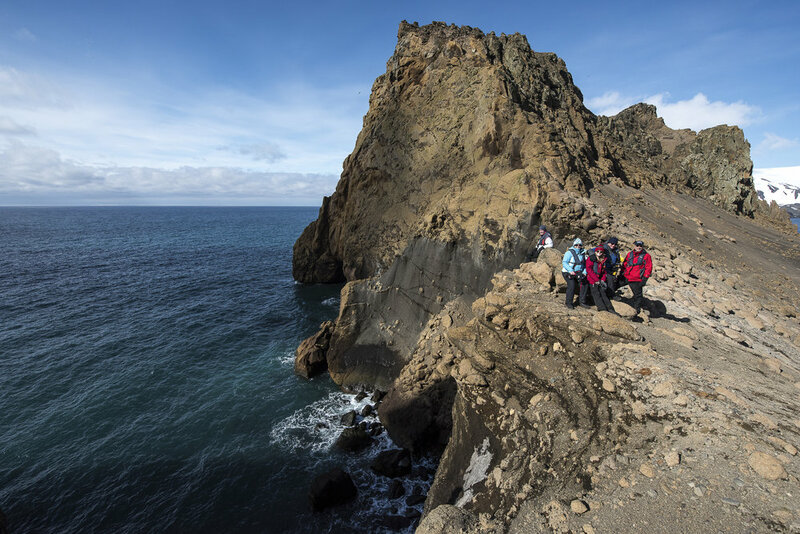 Explore the surroundings before setting sail to Cape Horn. 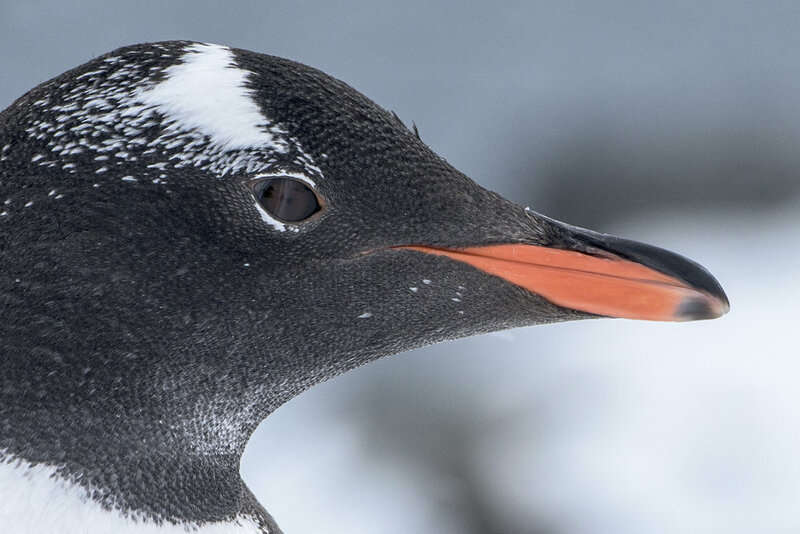 As you sail through the Drake Passage en route to King George Island in the South Shetland Islands, attend an engaging program of lectures and presentations. In the company of expert guides, watch for wildlife from the lounge or from the outside decks. You may spot magnificent seabirds, such as albatrosses and petrels, as well as different species of whales on their way south to Antarctica. After crossing the Antarctic Convergence, the environment changes noticeably. Keep your camera ready, as this is the time to watch for the first icebergs and the first sight of Antarctic land. Reaching the South Shetland Islands, sail in ice-filled bays, while enjoying the company of seabirds, penguins, seals and whales. 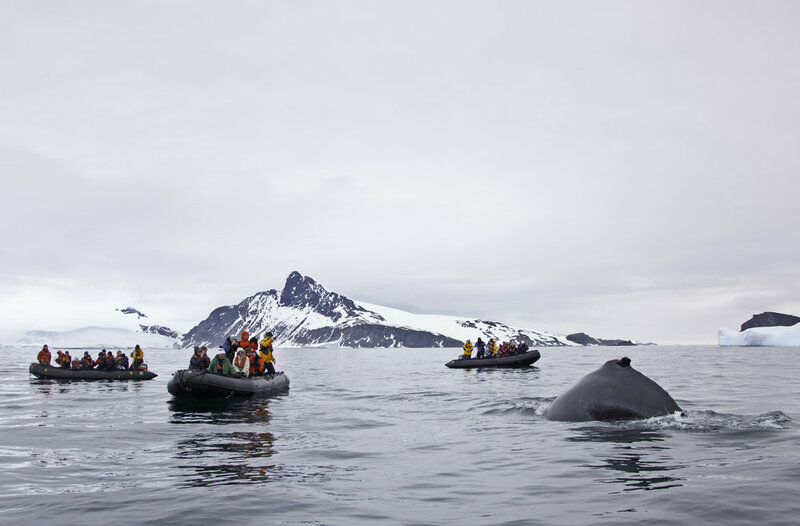 Board a Zodiac for your first memorable shore visit to a penguin colony. Taking advantage of the endless Antarctic daylight, exploration will continue well into the evening. Upon reaching King George Island, disembark at Fildes Bay and explore the area, such as the Chilean Base Frei and the Russian Base Bellingshausen. Bid farewell to Antarctica before boarding the scheduled flight back to Punta Arenas, Chile. Upon arrival, transfer to your hotel for the night. (Note: Meals in Punta Arenas are at your leisure and not included in the program).